I chatted with Howard Butler (@howardbutler) today about a project he’s working on with Uday Verma (@udayverma @udaykverma) called Greyhound (https://github.com/hobu/greyhound) a pointcloud querying and streaming framework over websockets for the web and your native apps. It’s a really promising project, and I hope to kick the tires of it really soon. The conversation inspired this post, which I’ve been meaning to do for a while summarizing Free and Open Source software for photogrammetrically derived point clouds. Why? Because storage. It’s so easy now to take so many pictures, use a structure from motion (SfM) approach to reconstruct camera positions and sparse point cloud, and then use that with a Multi-View Stereo approach to construct dense point clouds in order to… okay. Getting ahead of myself. PDPCs (photogrammetrically derived point clouds). Hate the term but haven’t found a better one are 3D reconstructions of the world based on 2D pictures from multiple perspective. This is ViewMaster on steroids. Scratch that. This ViewMaster on blood transfusions and Tour de France level micro-doping. This is amazing technology FTW. Ok, now that we know where all our cameras are at, and have a basic sense of the structure of the scene, we can go deeper and reconstruct dense point clouds from a multi-view stereo approach. But, let’s wait a second– this can be memory intensive, so first let us split our scene into chunks we can process in a way that we can put it all back together at the end. 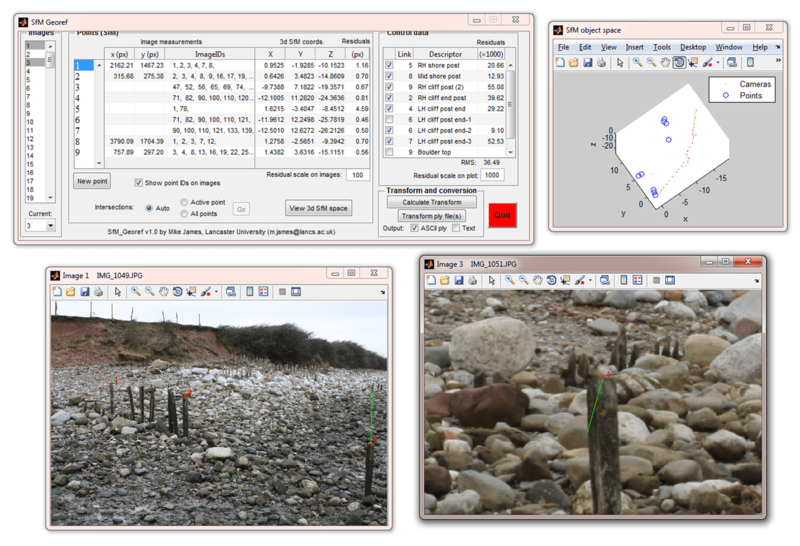 Enter Clustering Views for Multi-view Stereo (CMVS). Now, if you’re like me, you want binaries. We have many options here. I couldn’t find the real link either. Thanks for that!